Is a 55% ABV Beer Still a Beer? The Scottish rascals at BrewDog Beer have fused craft beer with roadkill. BrewDog’s End of History beer weighs in at a whopping 55 percent alcohol by volume (ABV). Why, that’s enough to kill a passel of varmints. BrewDog claims it’s the world’s strongest beer. The End of History was designed to challenge people’s perceptions about what beer is and how it can be enjoyed, served and packaged. 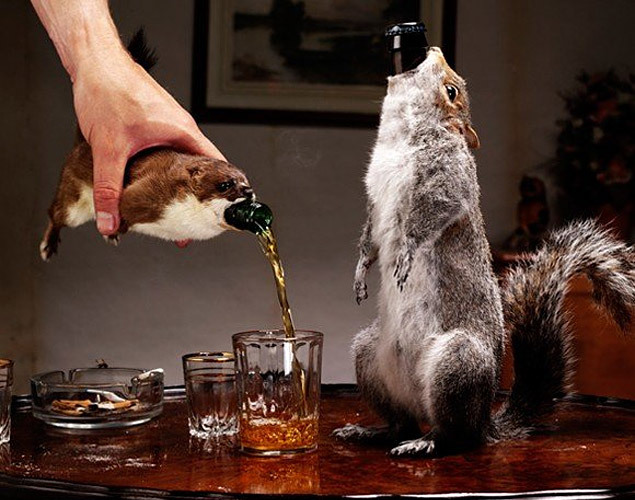 We wanted to fuse art, craft beer and taxidermy to make a statement. It is part of our mission to show people there is an alternative to monolithic corporate beers and to beer and elevate the status of beer in our culture. A Google News search of BrewDog about a fortnight after the story broke produces some 200 articles in many major publications (Forbes, BBC News, MSNBC, Wired, Eater, and The Independent). And they all pretty much say the same thing – golly! this dern beer is inside of a squirrel carcass and it’s got a high-alcohol content! The end. When asked about the inspiration for the beer, Watt talks about corporate beers versus craft beers. “The real catalysts for a binge-drinking culture are not well-crafted beers but the monolithic corporate machines that have cultivated a culture of quantity rather than quality amongst UK beer drinkers,” says Watt, speaking to the Telegraph. Only twelve bottles of End of History have been brewed. It’s an expensive process to create such a high ABV beer, which I’ll explain in more detail below. But I can’t help but think that a craft beer that costs nearly a grand a bottle is also a beer that is going to be enjoyed by a beer enthusiast who is less interested in corporate monoliths cranking out lawnmower beers than enjoying the exclusivity of the beer. “There is a huge distinction to be drawn between custom taxidermy and the cosmetic industry where hundreds of thousands of animals are bred, experimented on then slaughtered,” says Watt to the Telegraph. Taxidermy is gross. Humans do it to prove their dominion over the beasts of the field and the fish in the sky and the fowl in the sea. Maybe it’s a nobler death for roadkill to be a beer koozie than to decay by the side of the road, but if it were me, I’d rather be dead on the side of the road. And also, I’ve seen roadkill. The difference between a varmint that was hit by a car and a varmint that was captured and killed and then wrapped around a beer bottle is a pretty steep difference. A Sam Adams Utopia – which is a small-batch, high-octane (25 percent ABV) beer – comes in a nifty bottle that resembles a copper brew kettle. A buddy and I used to sit at the bar of a brewpub and lust for a bottle of Utopia that sat on the top shelf. One weird night with a little too much money burning a hole in either of our pockets and we woulda chipped in to crack that thing open. But so the point is, after buying the coupla-hundred-dollar beer, you still have a souvenir to show off to your dumb buddies. What About the Process Makes This Thing Special? The beer is a blonde ale with an infusion of juniper. Because of its alcohol content, End of History is stronger than most spirits – bourbon, gin, vodka – and should be drunk in smaller quantities than your average beer. Pour it in a shot glass, rather than a pint, for instance. But the larger question remains – is a 55 percent ABV beer still a beer? 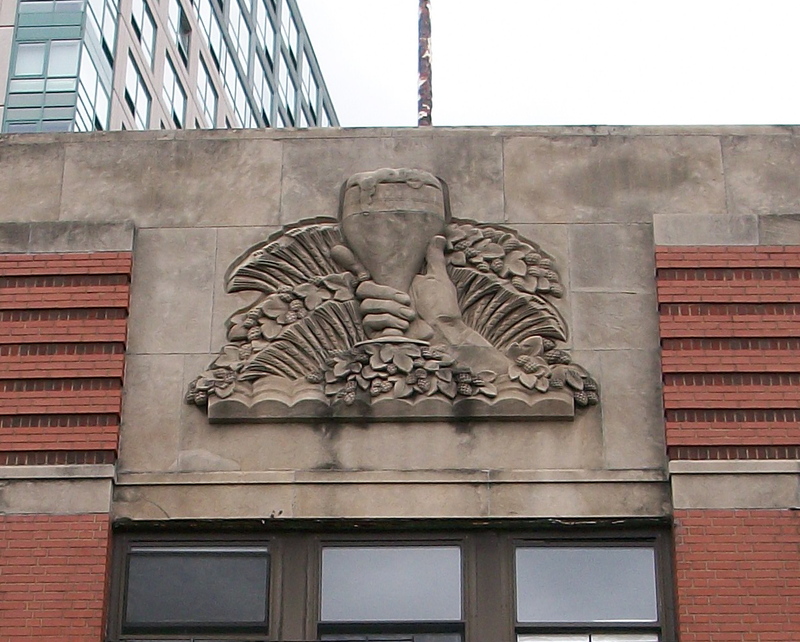 Beers are created through a process of fermentation. You boil a bunch of grain in a pot, add some hops and yeast and sugar, and then leave it alone for a while for the yeast to eat the sugar and you’ve got a beer. Most spirits are distilled via a vapor process, where all of the components are heated and turned into a vapor, which removes the water (and most of the ingredients that offer flavor, color, sugar, etc. ), while the alcohol-soluble compounds travel through the tube that collects the distillate. There’s not much flavor left behind in the alcohol-rich liquid. The smoky, wood-barrel flavors you taste in bourbon comes from the barrels that the bourbon is aged in. Some studies are proving that vodka has no taste at all but what you do taste is whatever was in the water that was used to dilute it down to bottle proof (for more info, see this post by Cooking Issues, the French Culinary Institute’s blog). End of the Century was freeze distilled (aka fractional freezing or fractionation) to reach this volume of alcohol. BrewDog had to start with a beer – a lot of beer; a whole lot of beer – in order to properly freeze distill it down to a smaller quantity of liquid that retained a beer-like taste, while also retaining a high-alcohol content. 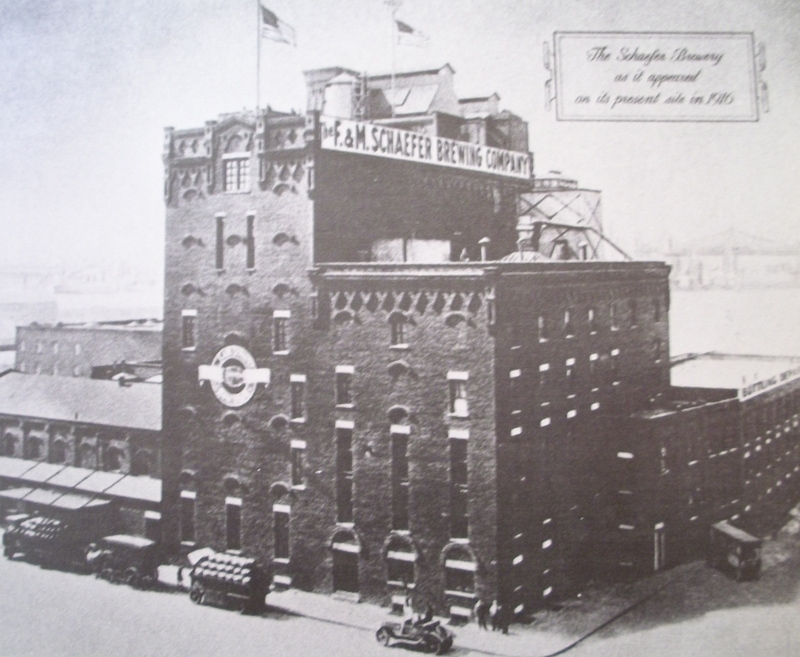 The process of freeze distilling involves freezing the beer and then diluting the remaining liquid. It’s really hard to do this because you need to have a very mature yeast strain that can survive the cycle of freezing and thawing. With Freeze distillation much of the water is lost but not so much the flavor or body or alcohol or sugar or (and this is really important, especially with beer) the yeast. So Is End of the Century a Beer? Well, it certainly started off life as a beer but ended as something that isn’t quite that. A beer doesn’t need to be distilled to be a beer. A beer’s a beer. It also doesn’t need to have a high ABV just to be enjoyed. I’m reluctant to call End of the Century a spirit also. I will say that its twelve buyers really bought into the hype. After all of the press and what was a successful marketing of a high-end alcohol drink, the leaving of BrewDog’s marketing manager is also something of a question. The picture indicates that it’s less of a beer and more of a liquore. Honestly, what End of the Century reminds me of is an olde timey medicine that will cure you of what ails you, especially if it’s sobriety. And also, if you’re buying something called End of the Century in 2010, which is pretty close to the beginning of the century, you’re willing to overlook the misuse of small details. If you want to try a freeze-distilled beer, there’s always an Eisbock. It’s nowhere near 55 percent (somewhere between 9 percent and 40 percent, usually) but at about $10 a bottle, it’s something of an indication of what End of the Century might be like, and it can be enjoyed by just about anybody, which is as non-corporate a thing as anyone could want really.